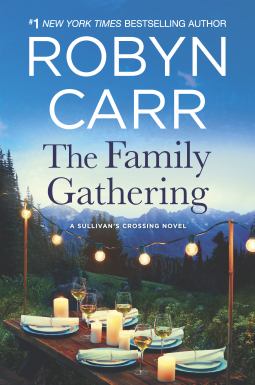 An exceptional storyteller, #1 New York Times bestselling author Robyn Carr beautifully captures the emotionally charged, complex dynamics that come with being part of any family. Readers will laugh and shed a few tears as they discover what it means to be loved, supported and accepted by the people who mean the most. Having left the military, Dakota Jones is at a crossroads in his life. With his older brother and youngest sister happily settled in Sullivan’s Crossing, he shows up hoping to clear his head before moving on to his next adventure. But, like every visitor to the Crossing, he’s immediately drawn to the down-to-earth people and the seemingly simple way of life. When all of the Jones siblings gather for a family wedding, the four adults are drawn together for the first time in a way they never were as children. As they struggle to accept each other, warts and all, the true nature and strength of their bond is tested. But all of them come to realize that your family are the people who see you for who you really are and love you anyway. And for Dakota, that truth allows him to find the home and family he’s always wanted. The Family Gathering is a beautiful novel of the bonds of familial love that can grow from the unlikeliest places. Robyn Carr brings readers back to Sullivan's Crossing as the Jones siblings gather for Sierra and Connie's wedding and to welcome Dakota to the neighborhood. Dakota is discharged from the army and takes this opportunity to venture to the place his brother and sister have relocated and found so much blissful happiness. Even as the women of the town flock to him, the only woman to catch his eye is the saucy bartender, Sidney. As Dakota fends off an unwanted suitor turned stalker and charms Sid, Sierra and Connie take on temporary foster care of an orphaned baby who becomes their entire world. Carr makes this story a true family gathering as the siblings rally around Sedona, who fears she may have inherited their father's schizophrenia. Her marriage is falling apart, but she'll do whatever it takes to keep the facade of perfection from shattering. I honestly didn't think anything else in this series would top Any Day Now, but The Family Gathering really surprised me. The range of emotions from heartache to absolute joy is astounding. The characters throughout the series have become a family through the traditional means, marriage, and forming tight bonds during trying circumstances. When one of them has a breakdown they all come together to help her remain rooted in reality. Even though this is mostly Dakota and Sid's story the highlight for me was Connie and Sierra. Their part in the story was amazing and completely unexpected, but it made the story feel like it was wrapping up lose ends and giving the couples we've come to love the start of their happily ever after. I can say with absolute certainty that this is a Robyn Carr novel you don't want to miss! 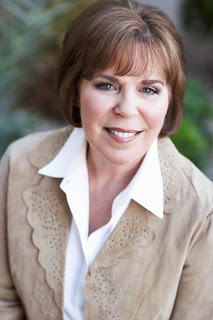 Robyn Carr is a RITA® Award-winning, eleven-time #1 New York Times bestselling author of almost sixty novels, including the critically acclaimed Virgin River series. The third novel (THE FAMILY GATHERING) in her fan-favorite new series, Sullivan's Crossing, will be released in April 2018. Robyn is a recipient of the Romance Writers of America Nora Roberts Lifetime Achievement Award 2016 and in 2017, VIRGIN RIVER was named one of the HarperCollins 200 Iconic Books of the past 200 years. Robyn and her husband live in Las Vegas, Nevada. You can visit Robyn Carr's website at www.RobynCarr.com.